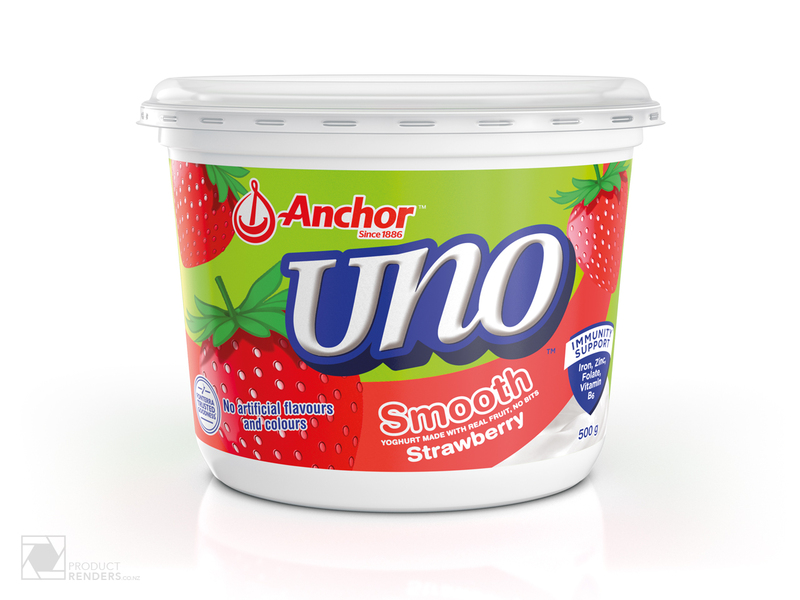 These three flavour variant 3D renders were commisioned by the packaging agency who designed the new 500g Anchor Uno yoghurt tubs. These tubs are a range of products designed to give you an easier solution for decanting yoghurt into re-usable containers for children’s lunchboxes or to serve at breakfast time. The labels were supplied as open artwork files, the very same files that went to the printer to produce the final production tubs. A supplied sample tub was back-engineered (supplied from the factory). The team at ProductRenders looked at the existing range of products from Anchor and camera matched the look and feel of the current imagery before rendering out multiple resolutions of the tubs. 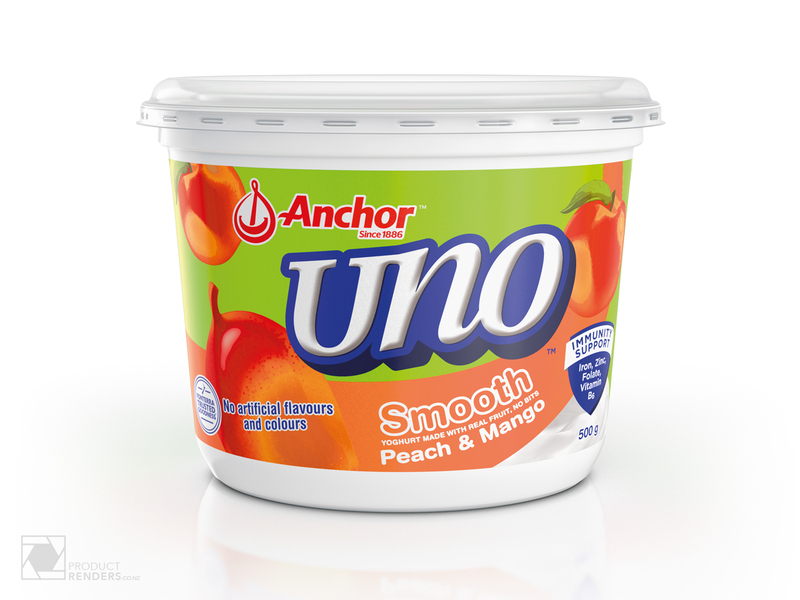 As always, now the tub is created it’s very easy and extremely cost-effective to add new flavour variants as and when Anchor chooses. More information about Anchor and the great products they make can be seen here.